With a smile that adorable, it's no wonder Seraphina Affleck is one of Hollywood's most high profile tots. The almost two-year-old showed off her dimples and pearly whites while racing at a Hanukkah Festival in L.A. on Sunday. 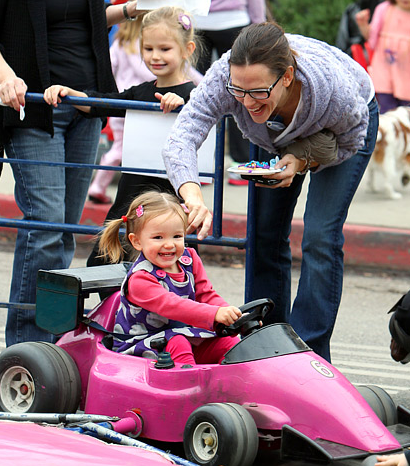 With mom Jennifer Garner and big sister Violet looking on, it's clear that Seraphina is the apple of everyone's eyes.